Former Great British Olympic decathlete Dean Macey may have retired from the world of international athletics but he still has that sporting urge. Join him as he travels around the UK and the rest of the world in search of angling adventures. 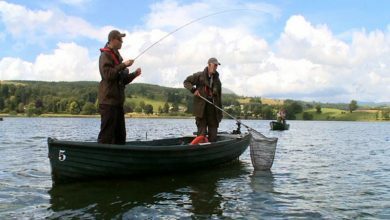 Starting in the UK he first visits the Lake District and the River Wye, before jetting off to Spain, the Canaries and Thailand, targeting species as varied as saltwater rays and Mekong catfish. 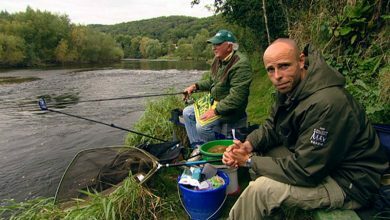 In the first of a new series, Dean Macey's tour of the best fishing in Great Britain takes him to the wonderful River Wye, with barbel in mind. 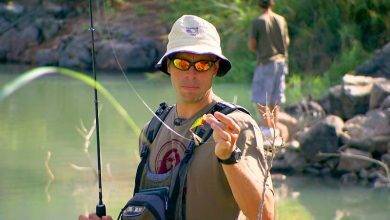 The canaries, home of windsurfing, beaches and nightlife and as Dean Macey finds out, some great carp fishing. 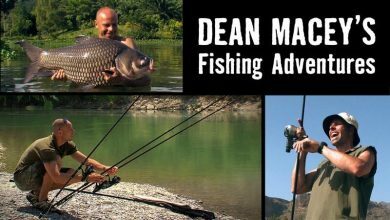 Dean Macey visits Northern Spain taking in the Pamplona Bull Run and some wild river fishing for carp and barbel. 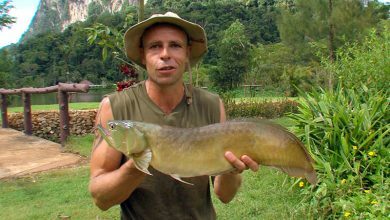 On another Fishing Adventure, Dean Macey starts his pilgrimage to Gillhams Fishery in Thailand by targeting Giant Siamese Carp and Mekong Catfish. Dean Macey continues the story of his recent trip to Thailand, this time targeting a range of weird and wonderful species on the smaller lake. 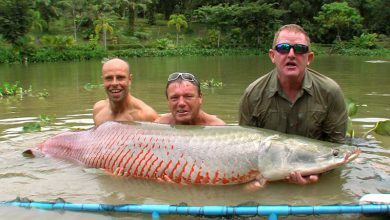 Dean Macey finishes his epic trip to Gillhams Fishery Resort in Thailand by targeting a monster Arapaima.